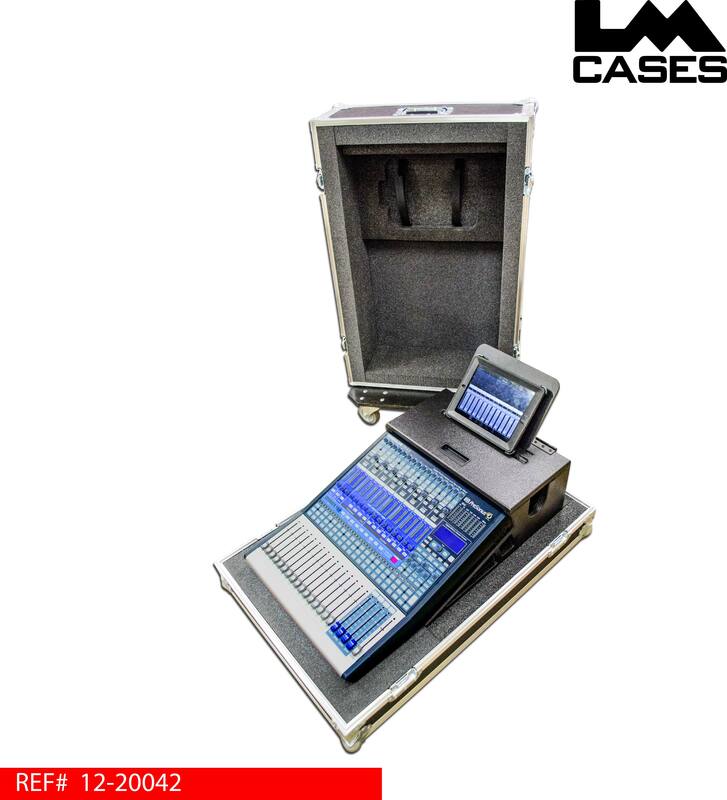 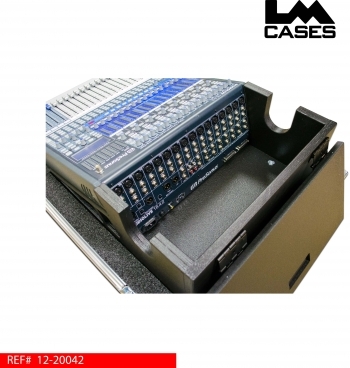 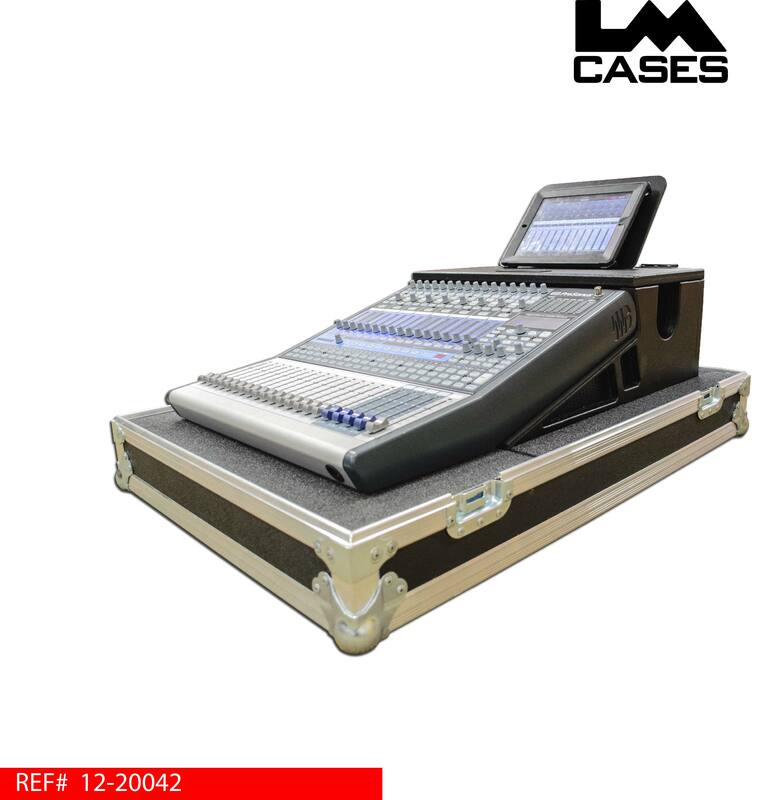 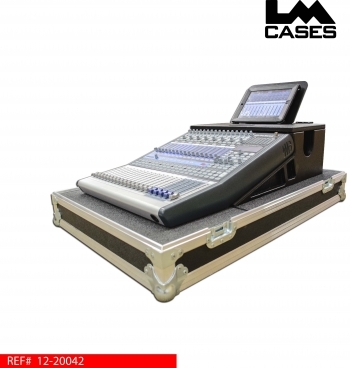 This case is designed to hold the Presonus StudioLive 16.4.2. The case features a custom doghouse that cradles the console from rear and sides. The side arms help the console remain stable in user position, each arm features custom foam piece to prevent wearing the console paint during its life on the road. 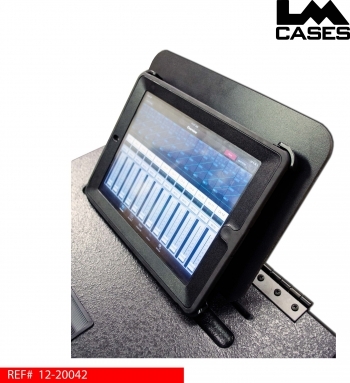 The arms are cut to match the side vents on the console to provide adequate ventaliation. 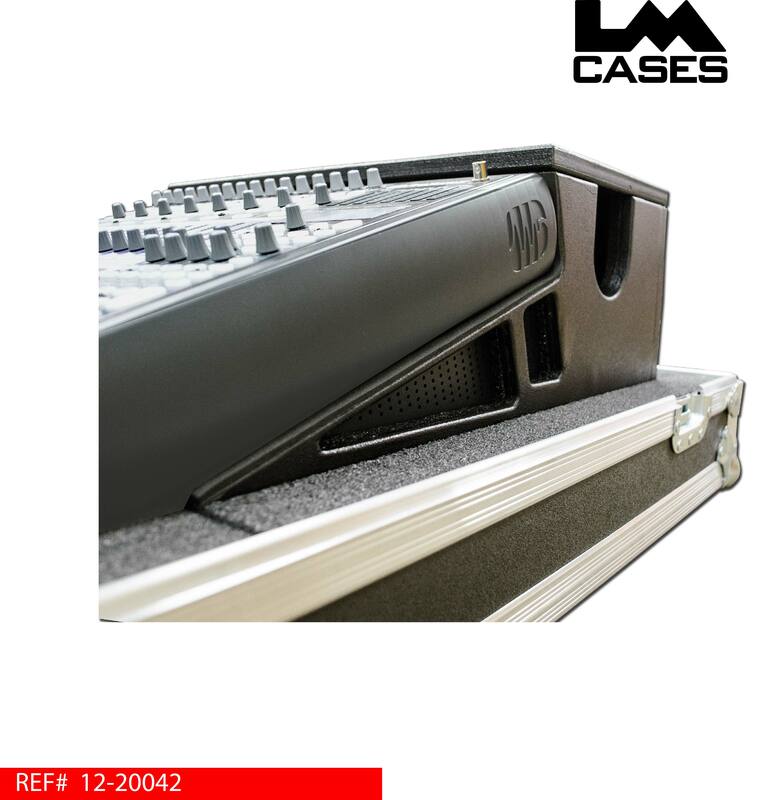 The doghouse is built out of 3/4″ birch and is black texture coated.